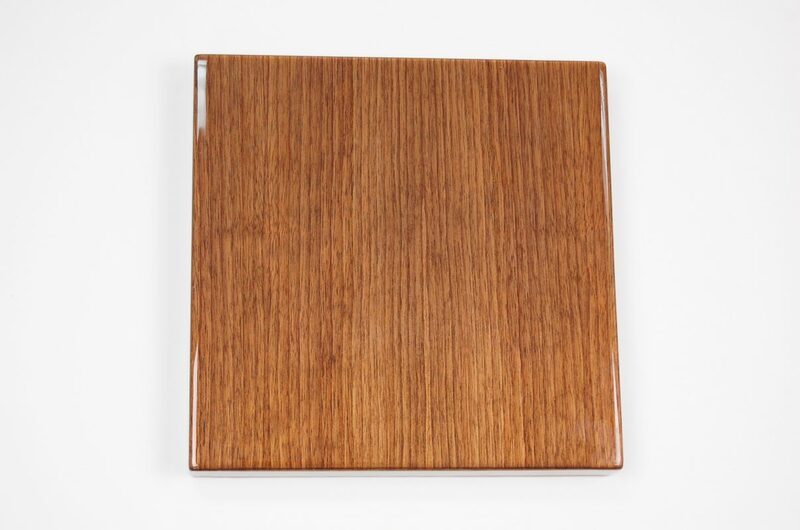 An industry standard for wood veneer and solid wood tabletops, it is more durable than lacquer and is resistant to moisture, heat and chemicals. 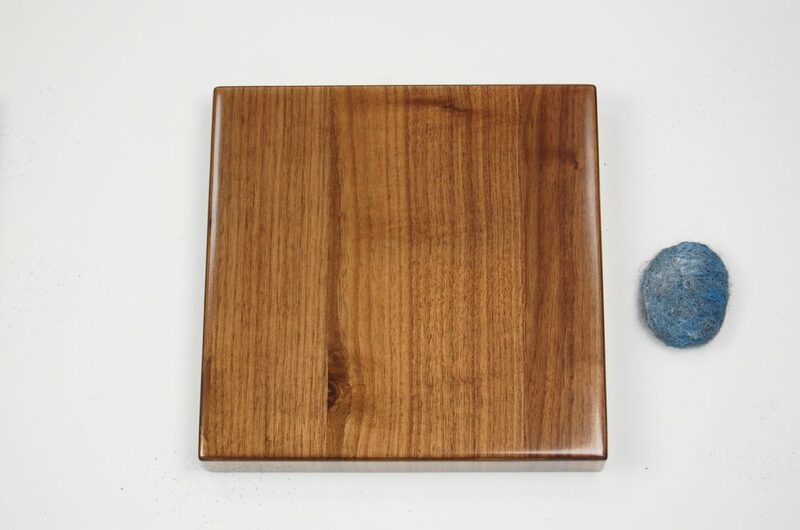 The finish is applied by spraying several coats to a finished thickness of 6 thousands of an inch. 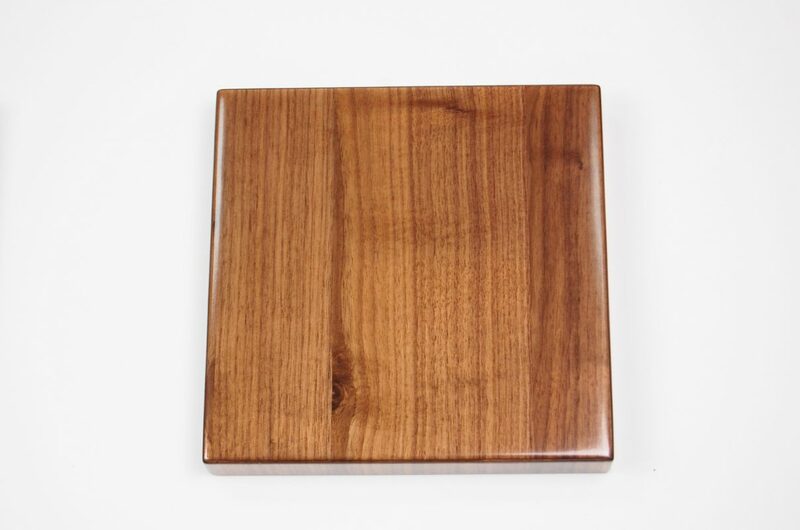 As it is a thin film finish, heat from moderately hot cups and plates will transfer through to the wood substrate without visibly affecting the finish. 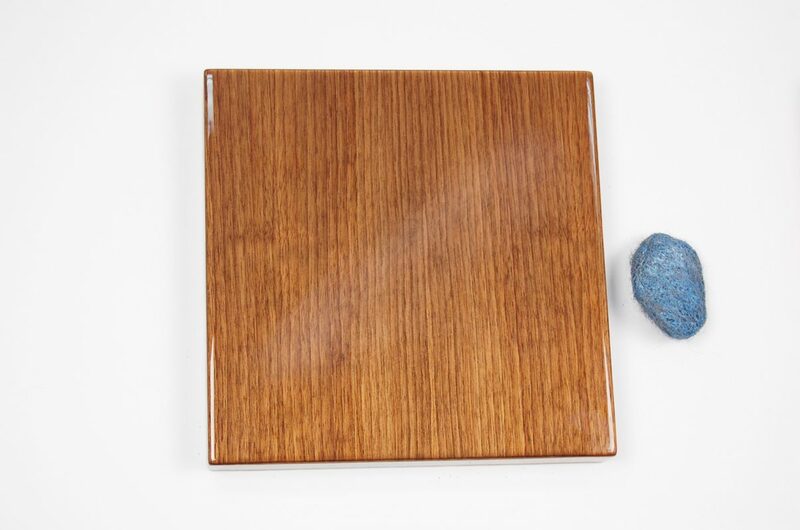 While conversion varnish is scratch resistant, the finish will show scratches on darker stained woods. To minimize this effect we apply a satin sheen. 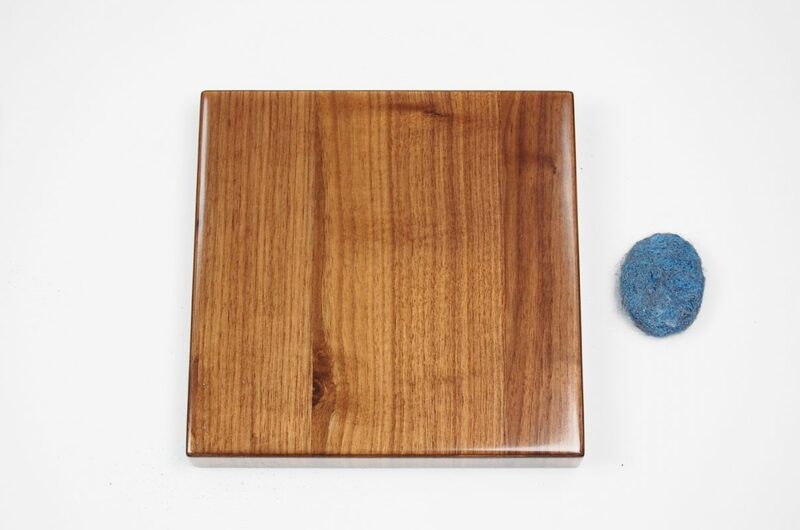 Heavy daily use may require refinishing after several years. 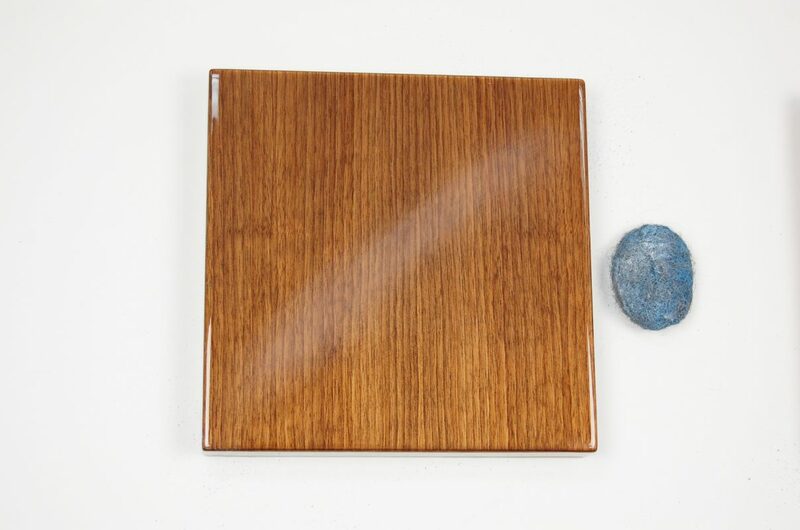 A poured finish which has a thickness of as much as .25”, epoxy resin is used both as durable wood finish and as a coating over logos, photographs, posters, metal, fabrics, cards, coins, etc. Epoxy has been a favorite finish for bars and restaurants because moisture will never affect it and it will never wear off, meaning tabletops can be in use for years without needing to be refinished. However, as it is a thick film finish the epoxy will be affected by hot cups and plates, leaving an indentation or “heat ring”, and surface scratches are more evident as they are suspended above the substrate. Epoxy finishes generally go through a “wear in” period during which they receive initial surface scuffing and some indentations. Epoxy is available as gloss or satin, the latter may cause some blurring of image detail in the substrate. Please be aware, any objects with a rough or unpolished finish may scratch the surface. A protective topcoat / finish cured by intense ultra-violet light, this finish is the most durable in the furniture industry. 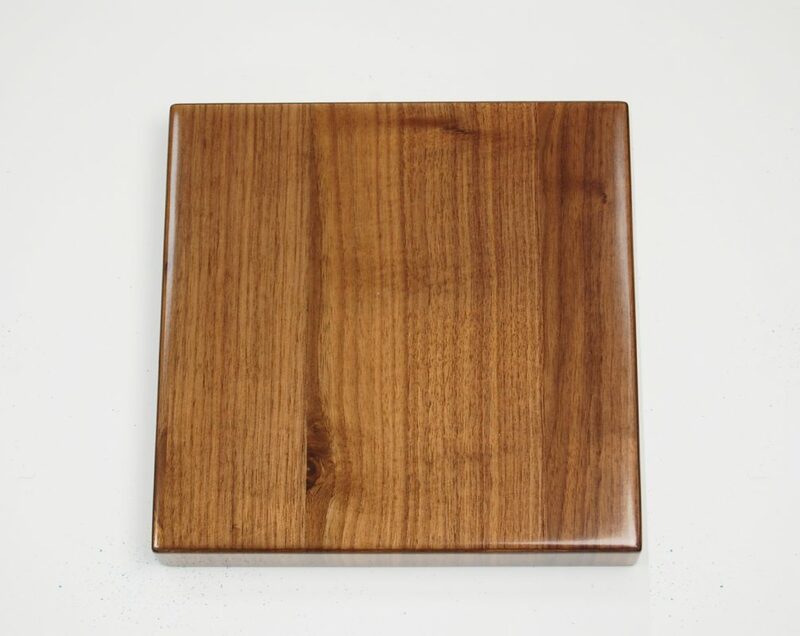 The main advantage is mar and scratch resistance which is far superior to either varnish or epoxy. The heat, moisture and chemical resistance are also superior. Our UV finish is available in semi-gloss.